If it has a smell, it can be sniffed — by a wasp. That’s the idea behind a gadget that employs specially trained wasps to smell, detect and identify certain chemicals the same way a trained dog does. A three-man team of wasp experts, one of them a biological engineer, has invented a software-run device that could accurately identify a chemical by the reaction of parasitic wasps to its unique scent. 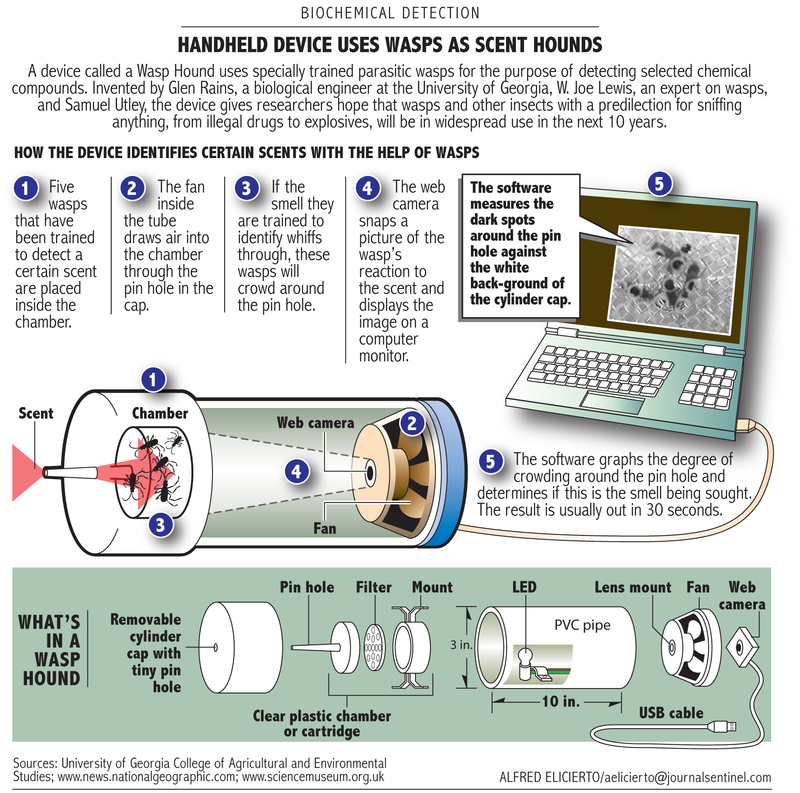 The gadget, now called the Wasp Hound, has plenty of potential applications, specially in the fields of security (explosives) and drug enforcement (illegal drugs and banned substances). 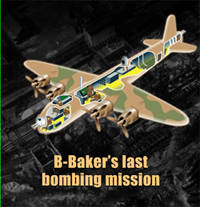 Graphic by Alfred Elicierto. Published in the Milwaukee Journal Sentinel on Nov. 14, 2005.